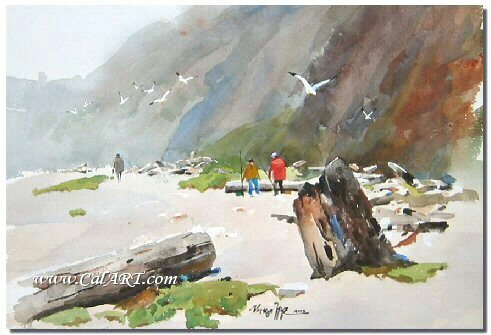 We Buy Paintings by Vernon Nye, click here for info. 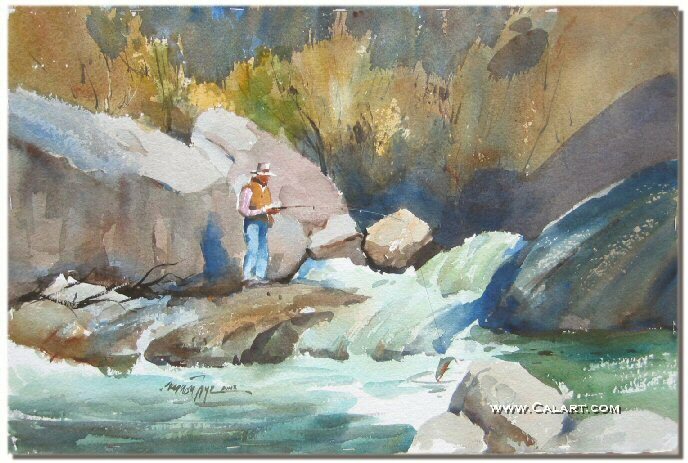 Vernon Nye biography provided courtesy of �California Watercolors 1850-1970� By Gordon T. McClelland and Jay T. Last. 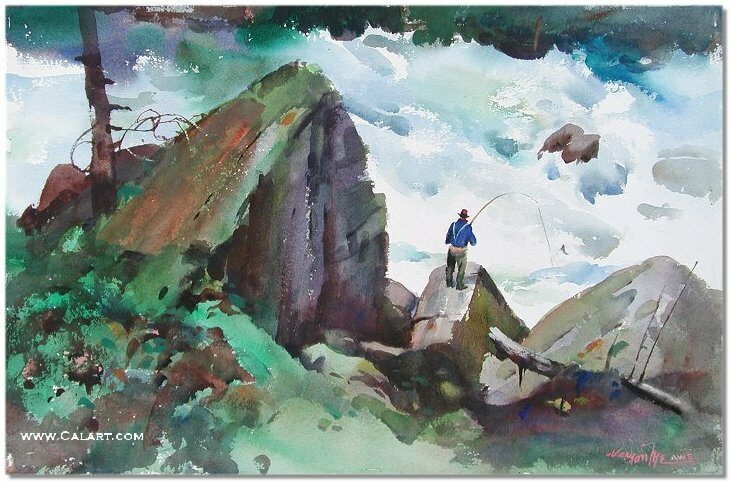 VERNON NYE (b.1915-2013)...Born: Batavia, NY. 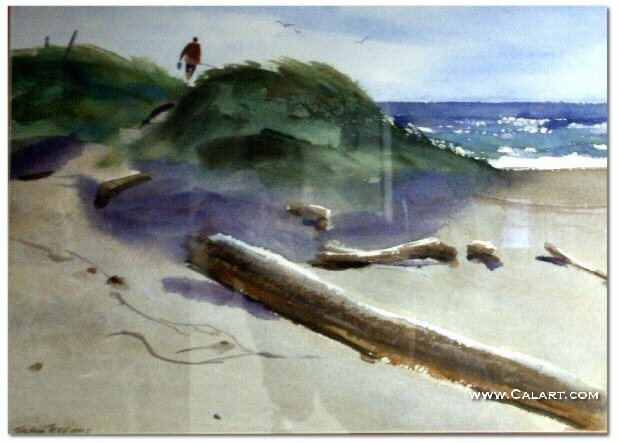 Studied: Mechanics Institute (New York). 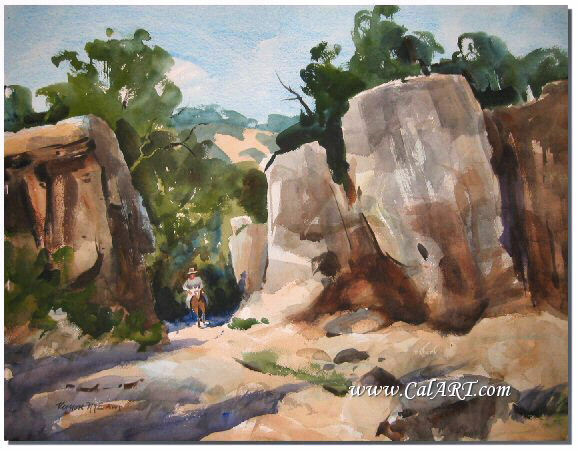 Member: American Watercolor Society, Society of Western Artists. 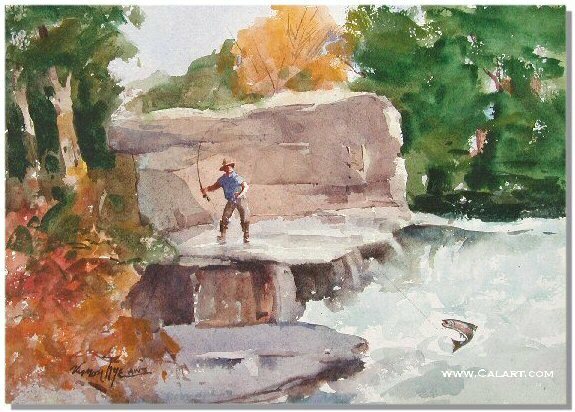 Vernon Nye was raised in New York State and studied art with Eliot O'Hara, Roy Mason, Ted Kautzky and Harry Anderson. 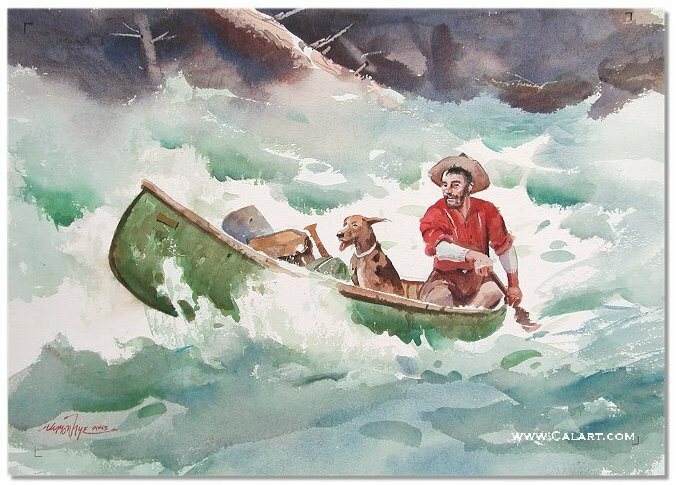 After a successful career working as a book illustrator for the Review and Herald Publishing Association in Washington, D.C., Nye moved to Northern California. 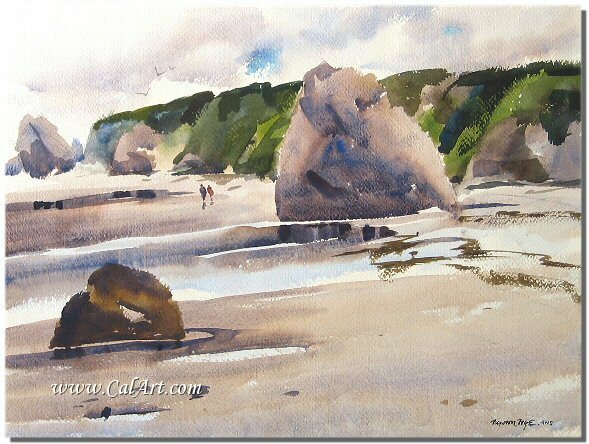 He became chairman of the art department at Pacific Union College and began teaching watercolor classes on the Mendocino Coast. 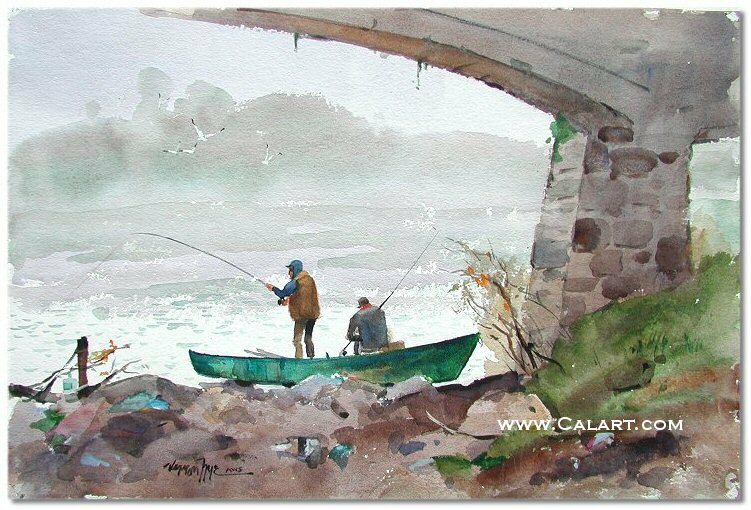 Vrenon Nye has primarily worked with transparent watercolors and occasionally adds opaque colors. 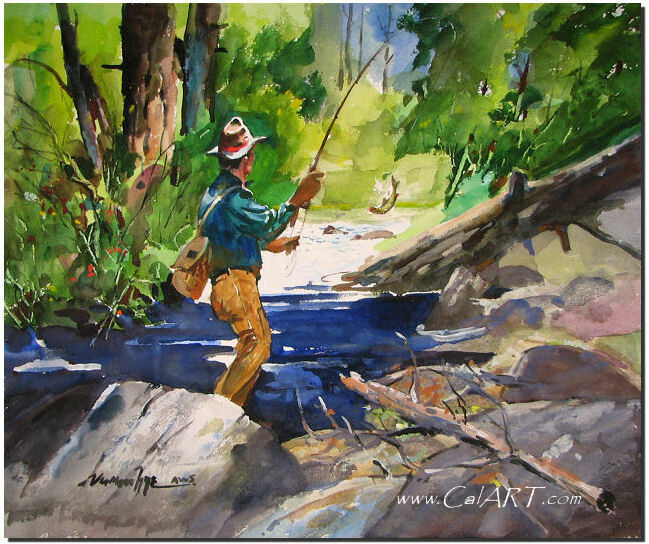 In many works, he feels the need for the image to tell a story, so figures are often included. 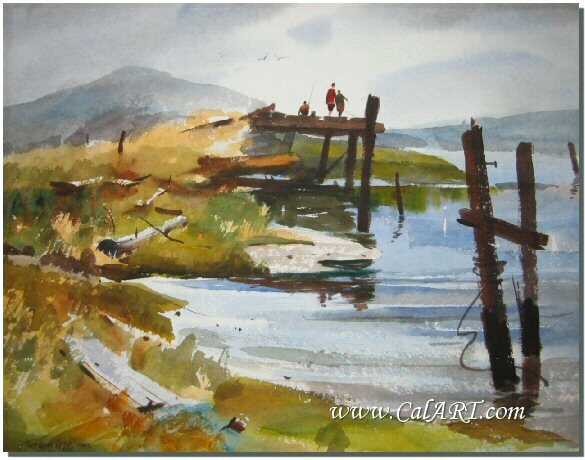 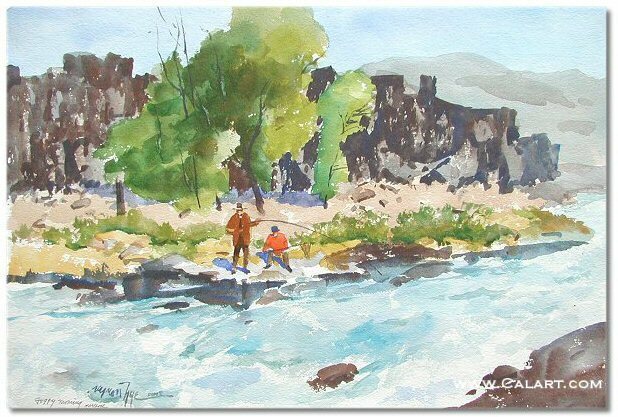 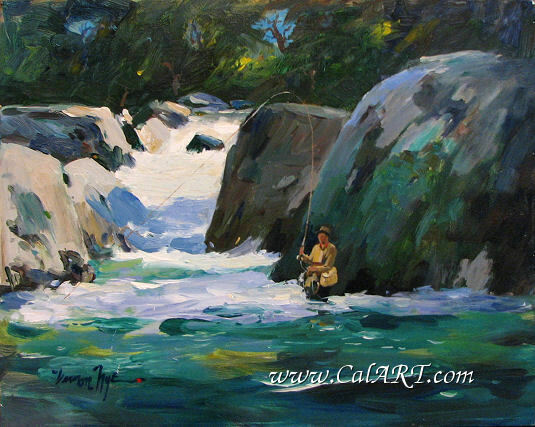 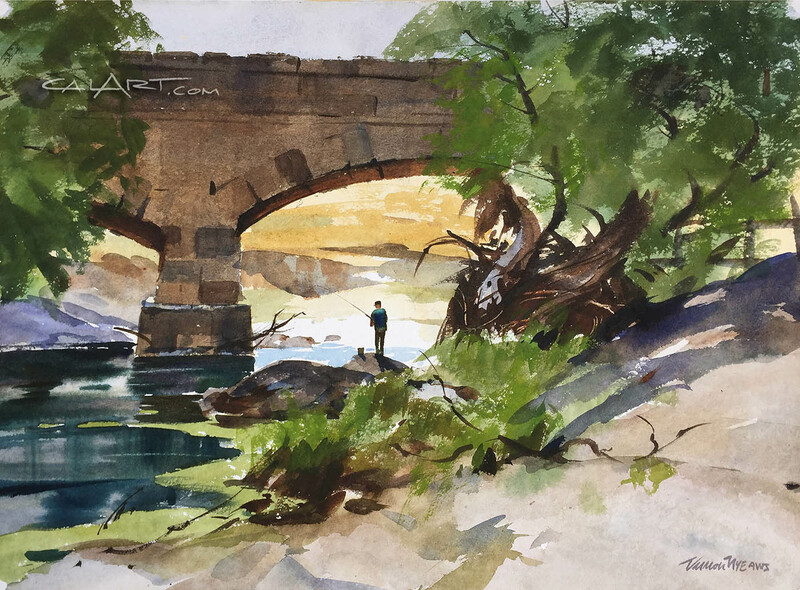 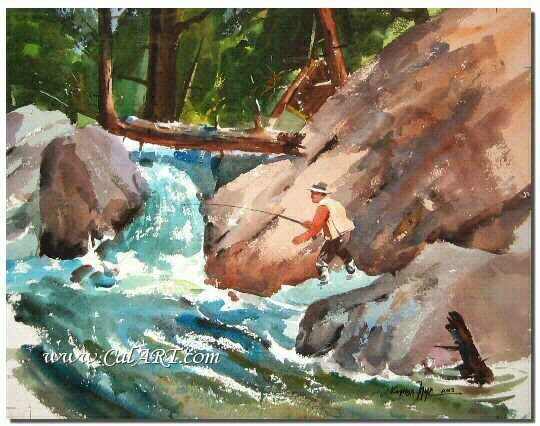 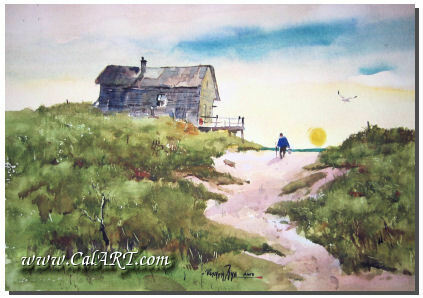 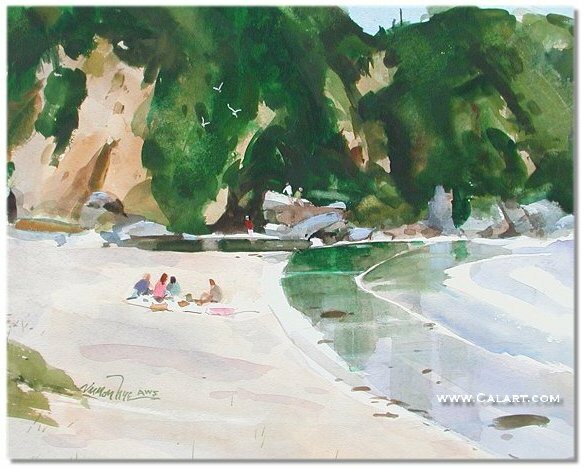 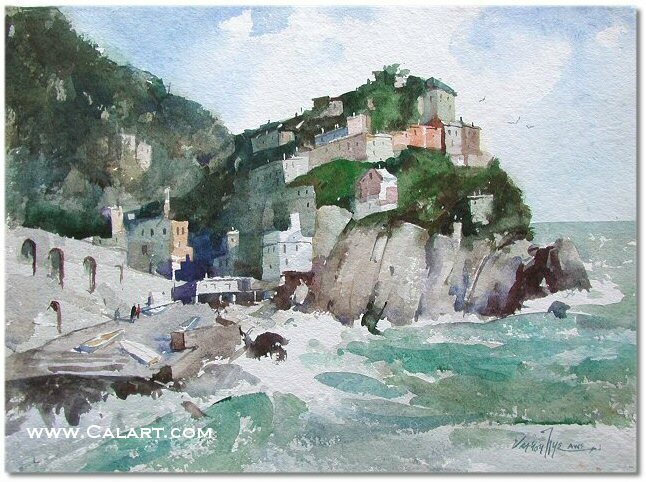 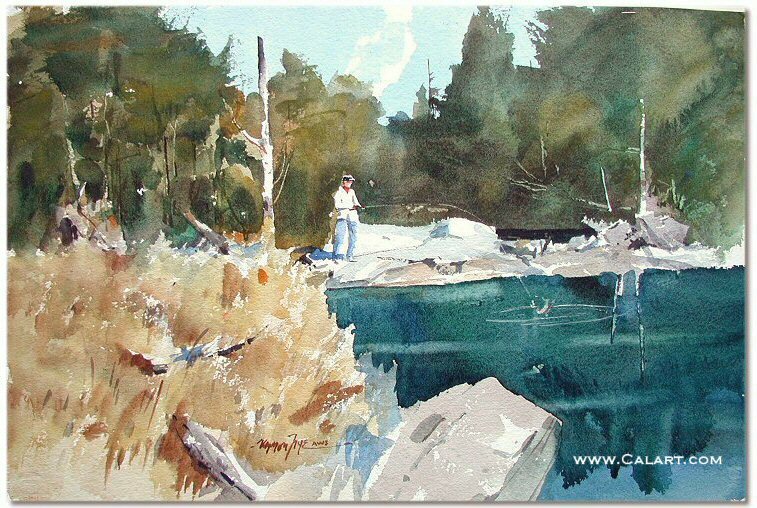 Fisherman, campers, farmers or beach walkers often become subjects included in his watercolor landscapes. 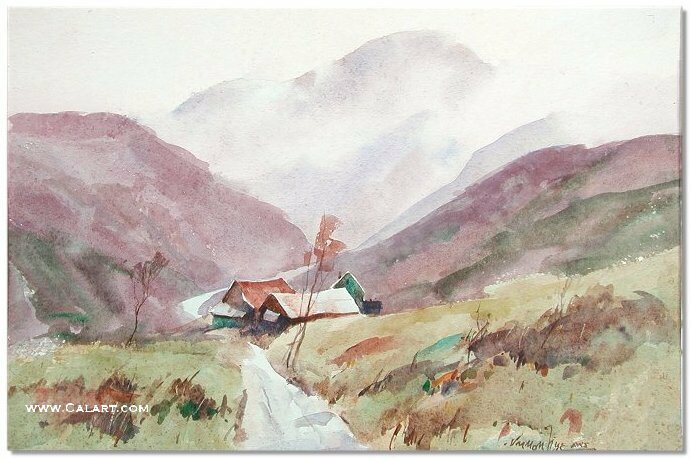 Vernon Nye has contributed greatly to California watercolor painting and was one of the key artists to emerge on the West Coast during the Post World War II era. 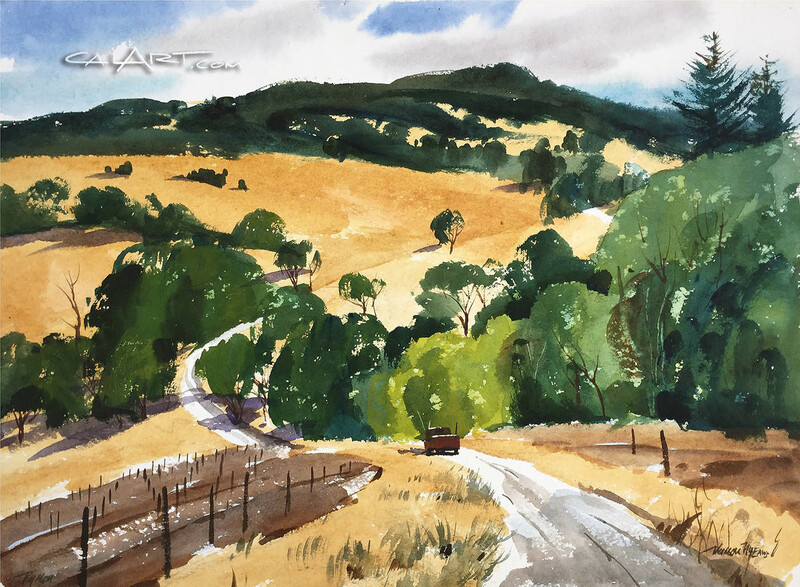 His watercolors have been exhibited on the West Coast in Society if Western Artists exhibitions, on the East Coast in American Watercolor Society annual exhibitions and in galleries in Northern and Southern California.